Oh yah, you betcha! It looks like Wisconsin has something to offer besides the Packers (America’s Team) and cheese. 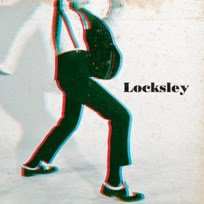 Locksley, originally from the Badger state, will release their 3rd studio album (self titled) tomorrow, July 12. I heard their single, “The Whip”, last summer and really dug it. They reminded me a lot of The Fratellis. “The Whip” is a fun bar song or like, “Chelsea Dagger”, could be blasted when your favorite hockey team puts it in the net. After last summer’s discovery, I didn’t pay much attention and honestly I kinda just forgot about them. For that I feel like a slacker, because recently the band has made some commercial headwind with TV, movie and media exposure. 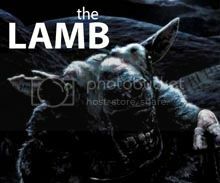 Don’t get me wrong, I’m not bringing Locksley to Now Hear This! because of their recent success. It’s just that lately I’ve really been into the whole late 50’s, early 60’s, British rock, garage rock revival and I think you might enjoy them too. This album will not blow you away or maybe it will, either way, I promise it'll put you in a good mood. Their latest effort is one of those upbeat, fun, party albums. It's the kind of album you can put on, let play and after a couple of listens, your guests might even be singing along with the chorus. Take a listen for your self: http://music.aol.com/new-releases-full-cds/spinner#/15 Enjoy and Happy Listening!